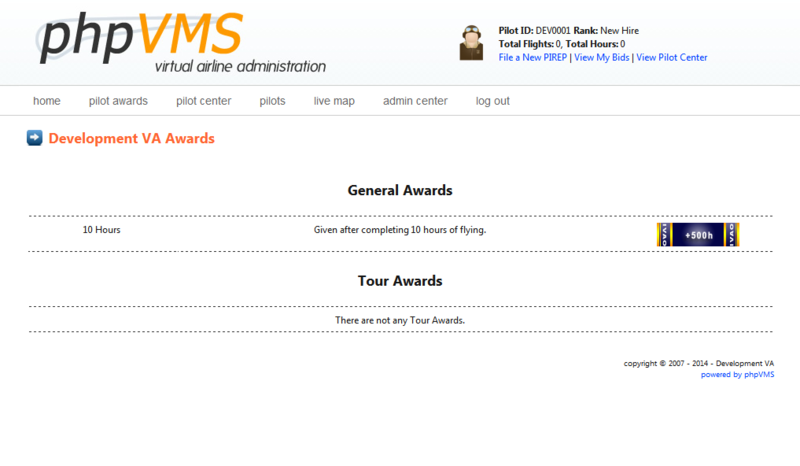 Pilot Awards System has been developed by PHP-Mods. 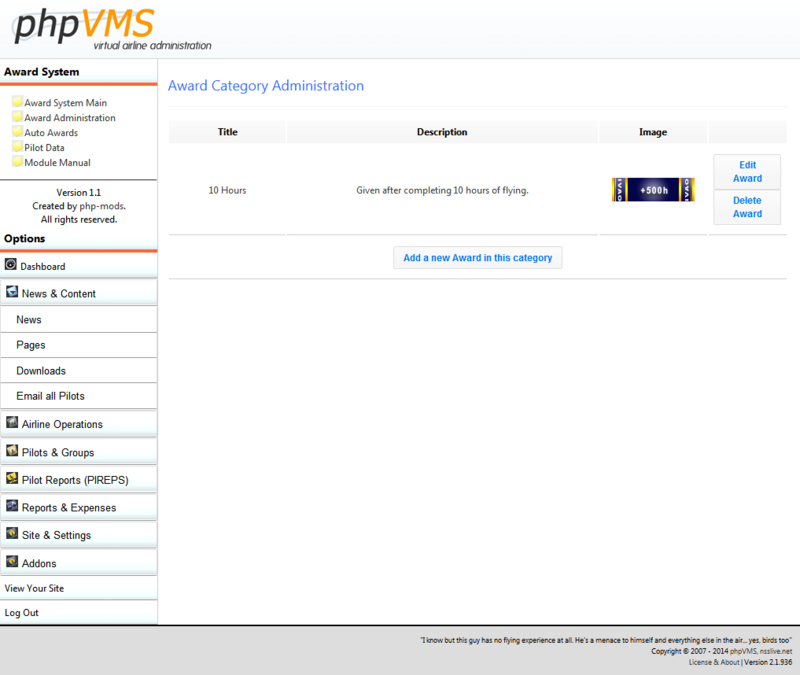 It is an updated-extended version of the default awards system of phpVMS. 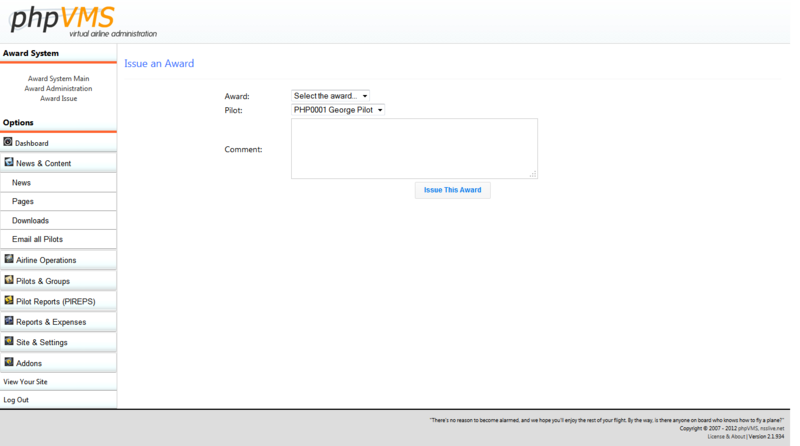 There are a lot of functions such as multiple awards with comments, auto awards etc. 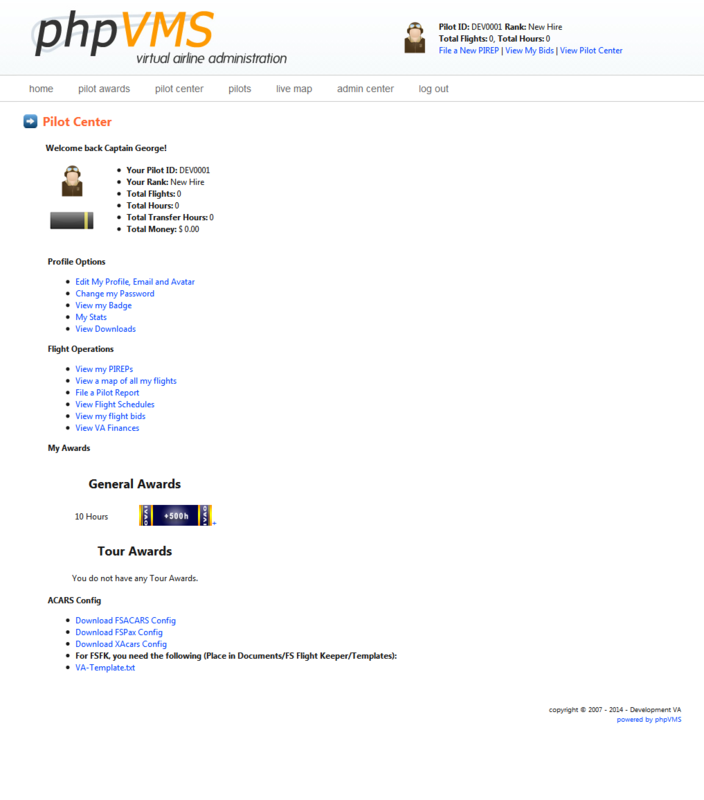 Create award categories (General Awards, Tour Awards etc) and add specific awards on each one. 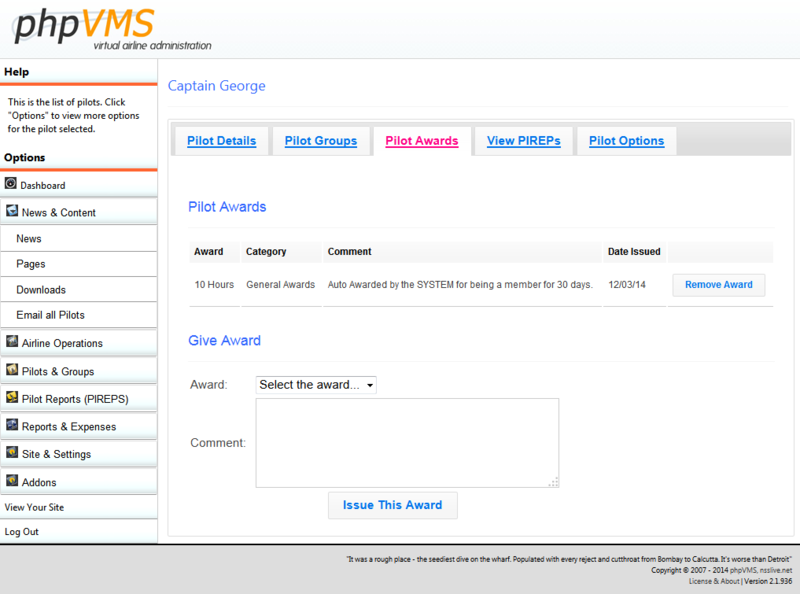 Issue a specific award more than once to each pilot. Set a specific comment for each award issue. 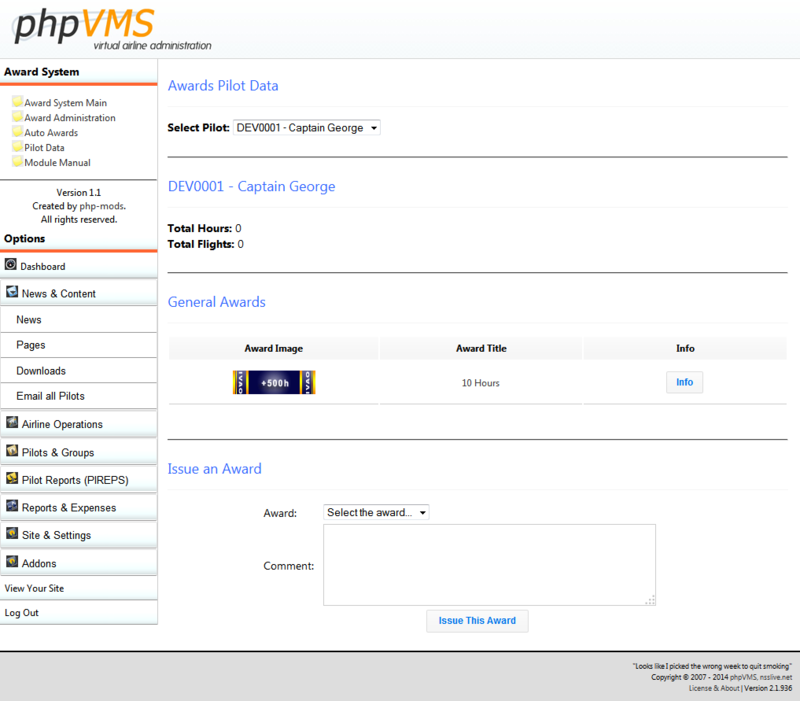 Just like the default version, you can include your pilot’s assigned awards to their pilot profiles or their public profiles. 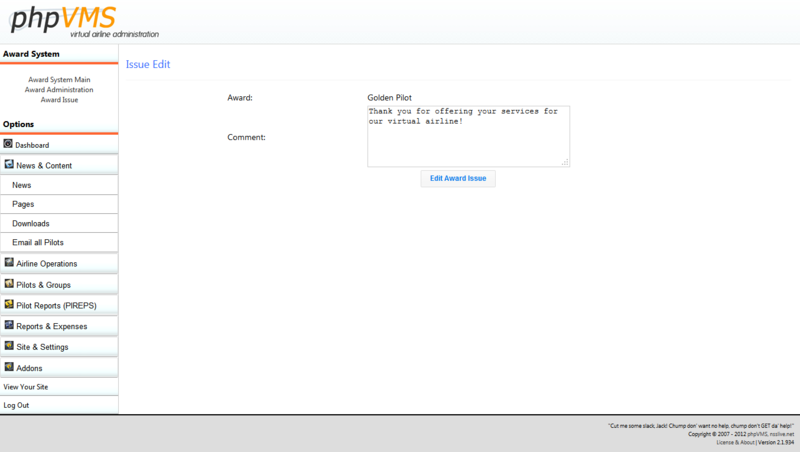 Show the latest award issues on any part of your website. Set auto awards settings. 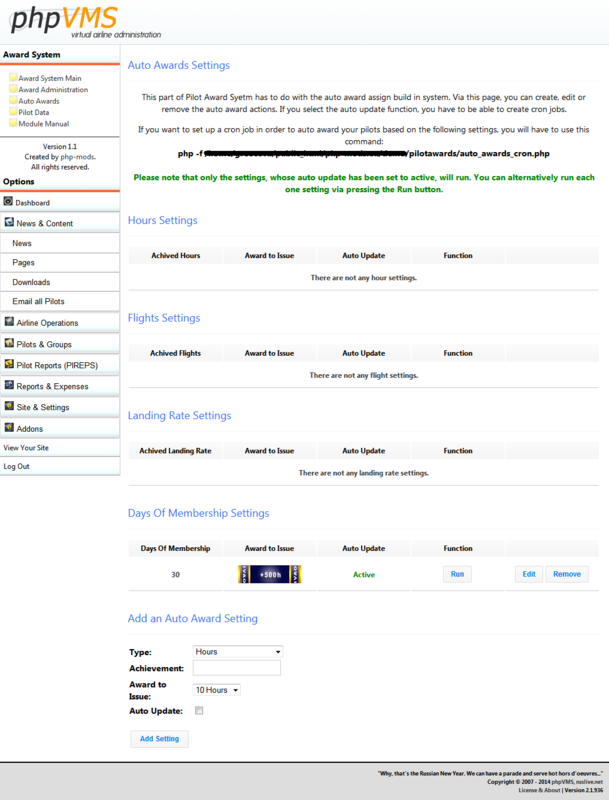 Currently, the settings which are offered are: Hours Check, Flights Check, Landing Rates Check, Days of Membership Check and Nautical Miles Flown. 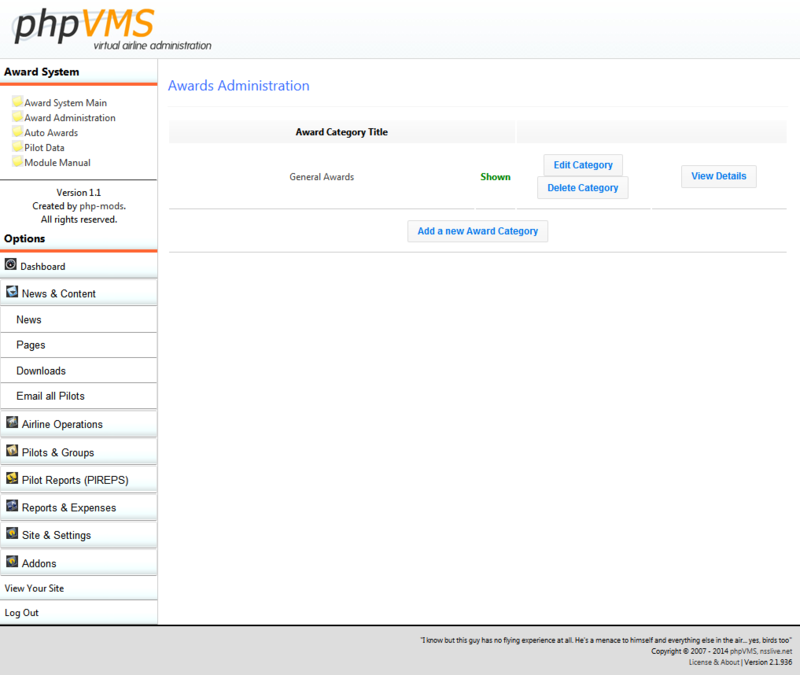 Run the auto awards settings on your own via the admin center or create a cron-job in order to automatically assign the appropriate awards to your pilots. More details and information about the module can be found on its manual. *For your information, these screenshots might not be accurate. We would suggest you to use the demo system in order to check how the module works. Details about the installation progress of the module can be found on its manual.